The official list of the worst celebrity diets of 2014. The most popular diets of 2014 named amongst the most dangerous. You can lose a few kilos in the lead up to Christmas with minimal effort. Just spoon in some clay between meals, eat like the cavemen used to, be a vegan before 6 (but definitely not after), and drink your own urine when thirsty. Though in a perfectly rational world the above suggestions would make us gag, these days it seems every second person seems to be trying one fad diet or another. Why? Because the celebs are doing it. And if it get us even an inch closer to looking like them, it seems we’ll take it. Even if the Biggest Loser turns out to be our happiness, wellbeing and–ultimately– our health too. The British Dietetic Association has today released their “Top Celebrity Diets To Avoid in the New Year” list. The association is comprised of over 7,500 dieticians. Not people with a qualification via the internet, but actual qualified dieticians who don’t need to mask their degrees under the alias of a ‘health’ or ‘lifestyle’ coach’. The underlying message? If it sounds too good to be true, it probably is. Urine therapy is used by some celebrities for its alleged cosmetic or medical and wellbeing purposes. Some claim urine can have an anti-cancer effect, though there are absolutely NO scientific studies to back this up. While Bear Grylls may have turned to urine for the sake of survival on his TV show, if you have access to real food? No excuses. Give this one a miss. 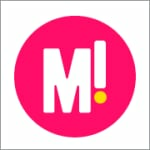 Miley Cyrus, Matthew McConaughey and celebrity chef Pete Evans tout this diet as their favourites. It basically advocates sticking to the foods cavemen in the prehistoric era used. Which all sounds nice and natural– except for the lack of dairy products, grains, sugar, legumes, and ‘processed’ oils and salts. Paleo followers don’t believe we have evolved to digest foods in the modern diet. 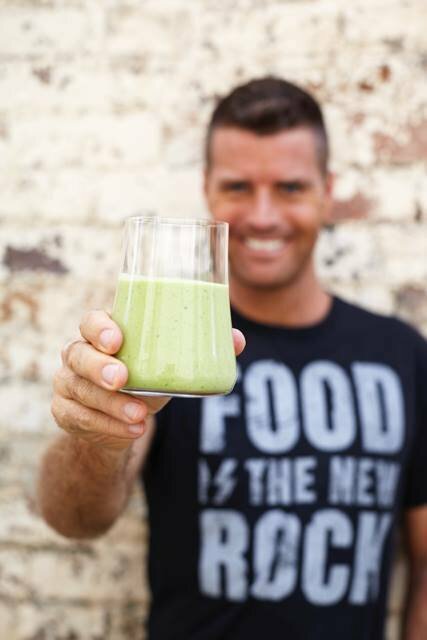 But then, Pete Evans has also claimed that paleo could ‘cure’ autism, so best to take what he advocates with a serious grain of salt (pun intended). 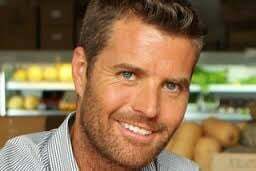 Celeb chef Pete Evans follows the Paleo diet. You can’t walk into the health section of a bookstore without Sarah Wilson’s ‘I Quit Sugar’ hitting you in the face. Eva Longoria, Megan Gale and Tom Hanks are all super fans too. But some versions of the Sugar Free Diet call for a person to cut out all sugar from your diet. This would include vegetables, fruit, dairy products and nuts if followed accurately. So… yeah no. Eat the chocolate, people. Life is too short not too. Sarah Wilson peddles the ‘I Quit Sugar’ diet. Beyonce loves this one. Basically you eat nothing but vegan food before 6 o’clock in the evening, after which there are no restrictions. No restrictions. As in, you can suddenly and magically eat whatever you want so long as the clock has passed 5:59pm. No pesky fat can annoy you past this point. Sounds totally logical and rational. (Not). Beyonce is a vegan. Before 6pm. The Clay Cleanse Diet advocates eating a spoon of clay a day to remove toxins from the body and remove negative isotopes, helping you detox and stay in shape. Actress, singer and model Zoe Kravitz, amongst others, follow this diet. Apart from being gross tasting, the side effects of ingesting clay range from severe constipation to arsenic poisoning. Yeah. We’ll pass on this one as well. The Dietitians Association of Australia agrees, cutting out any one food group –unless medically advised– will lead to nutrient deficiencies, and damage one’s relationship with food. The problem with fad diets is that they are based on fasting and restrictive eating patterns, often excluding whole food groups, making it difficult to meet nutritional needs, this can lead to harmful side effects such as low energy, low blood sugar, muscle aches, fatigue, light headiness and nausea. Additionally, any weight loss achieved is temporary, as any weight loss is achieved from the loss of water and glycogen (the body’s store of carbohydrate), instead of body fat. 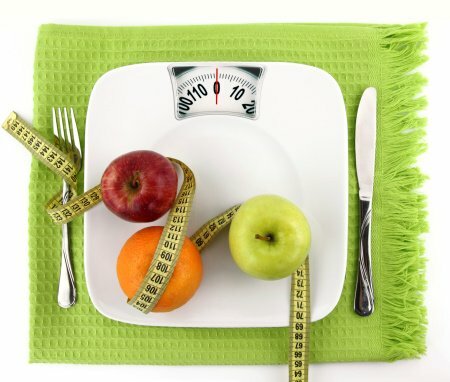 This means that any weight you do lose is easily and rapidly regained once you revert back to a normal eating plan. Fortunately, our body already has a detox system in place. Our lungs, kidneys, liver, gastrointestinal tract and immune system remove and neutralise toxic substances within hours after we ingest them and there is no scientific evidence that special herbs, juices, or diets help enhance this process. As alluring as a magical cure for weight loss may be, singing to us from the TV, in glossy magazines and adorning billboards and our Facebook feeds, you need to step away. Because on the one hand you’ve got accredited professionals consistently agreeing fad diets don’t work. And on the other hand? Well, you’ve got celebrities with an opinion and dangerously high-profile platforms. Science verse opinion. There is a right side, and it’s in your interests to be on it. Eating clean isn’t about health anymore. It’s about shame. Sarah Wilson says she knows why women get sick. And she’s wrong. Celebrity chef claims Paleo Diet will prevent autism.